Now It’s Your Turn to Run! RALEIGH, N.C. – September 4, 2014 – Independent game developer Imangi Studios is bringing the beloved Temple Run series to virtual reality (VR). 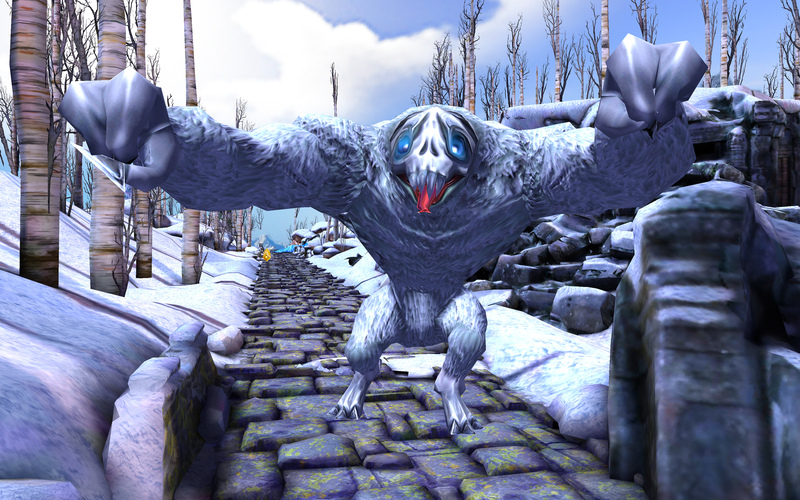 In Temple Run VR, players run for their lives in a thrilling immersive experience as they navigate a perilous winter wonderland. Temple Run VR is coming soon to Oculus VR devices, and debuts today at IFA as part of Samsung Unpacked. 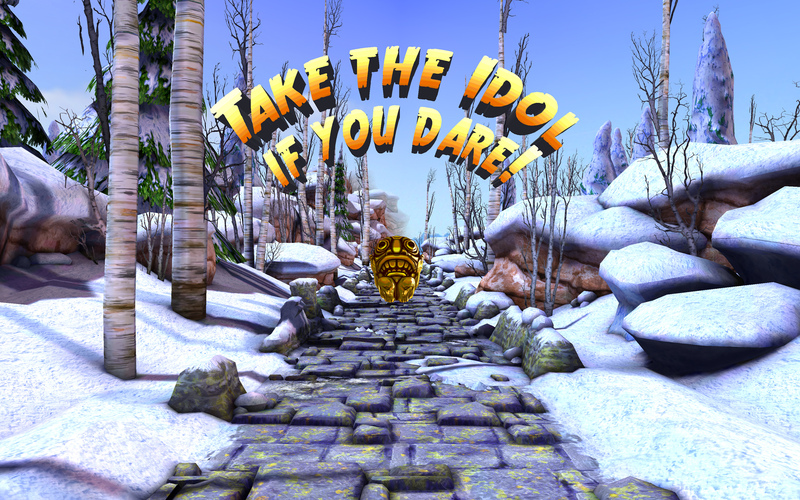 After taking the idol from the mysterious temple, players in Temple Run VR must run from Arctic Demon Monkeys across icy mountaintops. Players will dodge patches of snow and ice, cross frosty footbridges, and jump between alpine cliffs. Virtual reality allows the player to experience the exhilarating escape in first person. Imangi Studios recently celebrated the Temple Run series’ billionth download, the second highest in mobile games history. The studio plans to announce additional partnerships and updates later this fall. Download the Temple Run VR press kit. 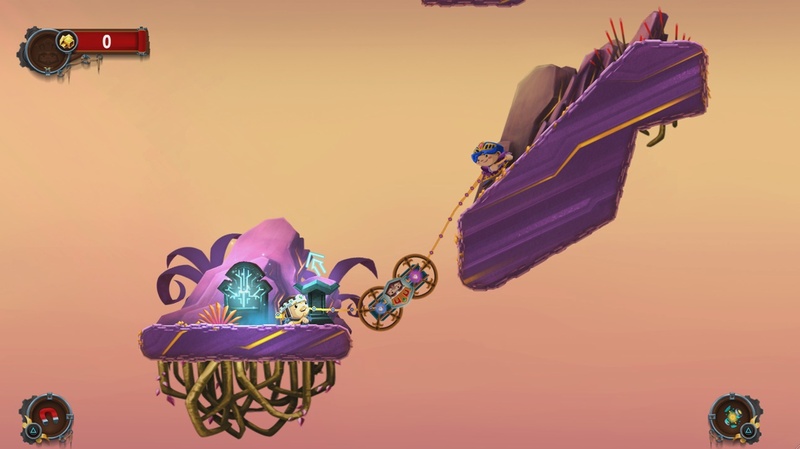 Imangi Studios was founded in 2008 by husband-and-wife team Keith Shepherd and Natalia Luckyanova with the goal of creating small fun games for everyone to enjoy. What started as a dream job for the couple has evolved into a successful business, with Keith and Natalia now working with a team of other talented game creators. In June 2014, Imangi announced that its mega-hit Temple Run series had amassed over a billion downloads, defining it as one of the most popular mobile games in history. The Temple Run franchise has expanded to create Temple Run: Brave and Temple Run: Oz, as well as over 30 global licensees from apparel to publishing.